The submandibular fossa is a concavity in the lingual part of the mandibular body, inferior to the mylohyoid line, in the lower molar region, where part of the submandibular gland is situated. Around the submandibular fossa are many anatomical structures implicated in implant surgery, salivary calculus, and static bone cavity. Therefore, dentists need a thorough understanding of the surgical anatomy in the area of the submandibular fossa to preclude complications including hemorrhages, nerve injuries, ductal strictures, and perforation of the lingual cortical bone. 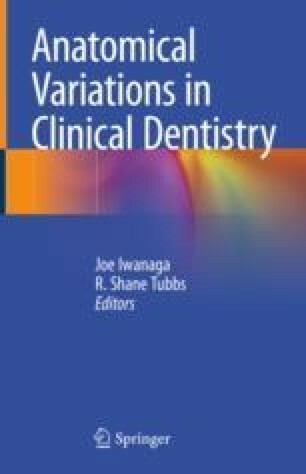 In this chapter, the anatomy and its variations in the area of the submandibular fossa are reviewed and clinical considerations are described.